mitochondria bioenergetic and dynamics play central roles in the control of vascular tone and structure, as suggested by our recent findings. 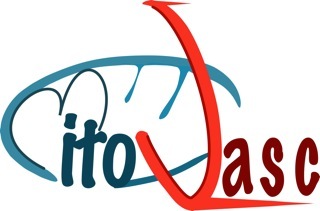 Thus, we are developing common projects in the 2 main domains of the unit, cardiovascular and mitochondrial physiopathology, in order to foster innovative results and develop rational therapeutic targets. The 2 main topics of the unit are divided into several tasks ranging from clinical to fundamental researches. In order to strengthen translational research in the unit, we created the MitoVasc Institute, promoting better interactions with MDs from the University Hospital of Angers. Indeed, the research strategy developed by the unit is based on a “bedside to bench to bedside” program. Clinical observations and investigations on animal models reproducing human diseases led to hypotheses that are now investigated in vitro, taking into consideration the interplay between mitochondria and blood vessels functioning.